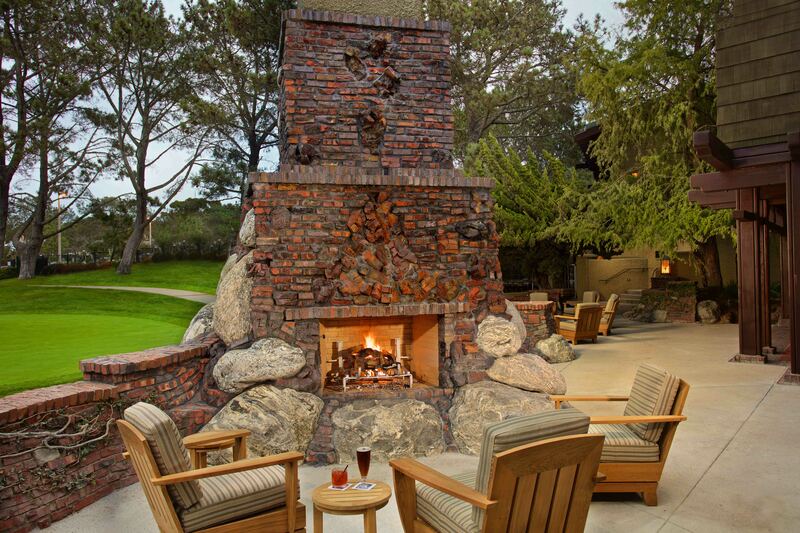 Delawie was the architect in charge of re-imagining the expansive new patio for the Grill at the Lodge at Torrey Pines. 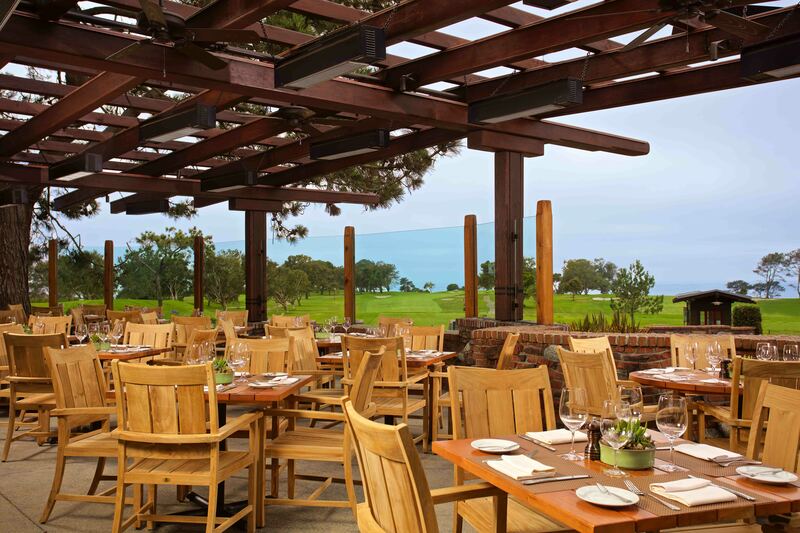 Following a $2.5 million renovation, The Grill debuts its reinvigorated patio expansion overlooking the iconic Torrey Pines Golf Course, complete with five outdoor fire pit tables, an overhead wooden trellis, craftsman teak furniture that doubles the outside capacity and an alfresco lounge. 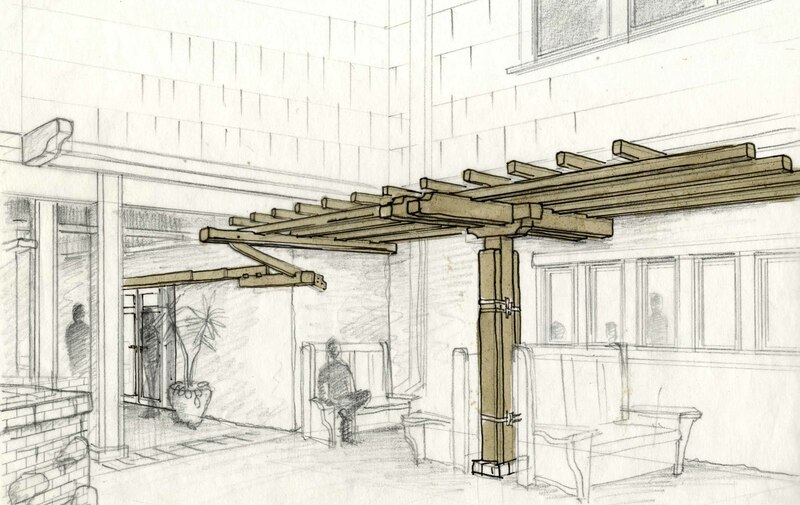 The project consisted of the expansion of The Grill, and complete interior and exterior renovation. 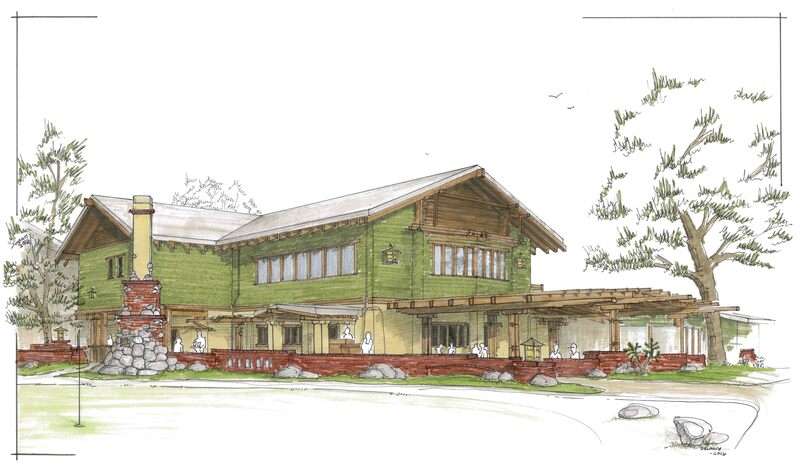 New improvements feature an expanded kitchen area, new flooring and wall finishes, new HVAC system, as well as new high-end finishes throughout the restaurant. 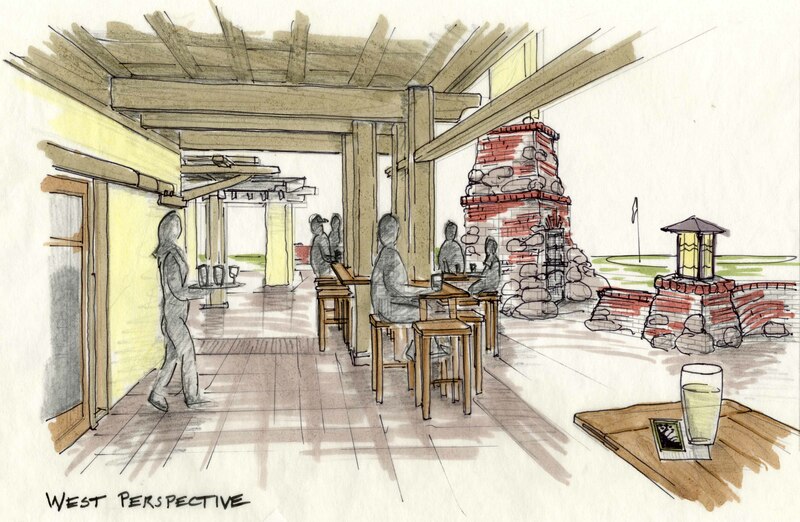 The exterior patio was completely reconstructed to include an expanded seating area with heavy timber trellises outfitted with heaters, light fixtures and fans, a 24-foot tall custom wood-burning clinker brick fireplace with built-in rotisserie oven and grill, clinker brick walls, and new hardscape throughout. 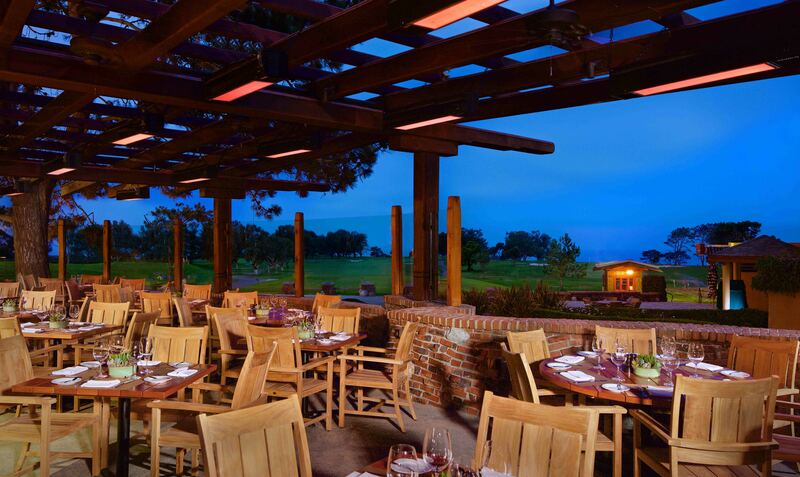 The main goal was to create a better dining experience with views of the golf course and the Pacific Ocean beyond. 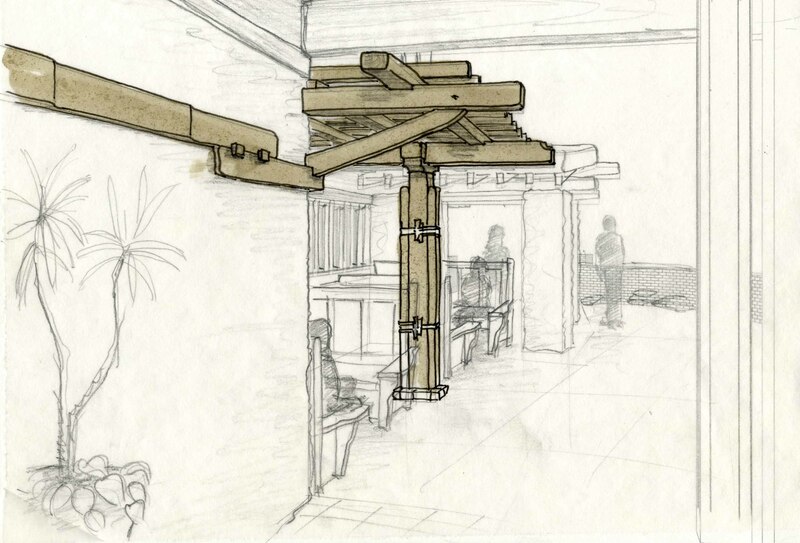 We needed to shelter guests from the wind and provide more heat, as it’s a cool space most of the time. 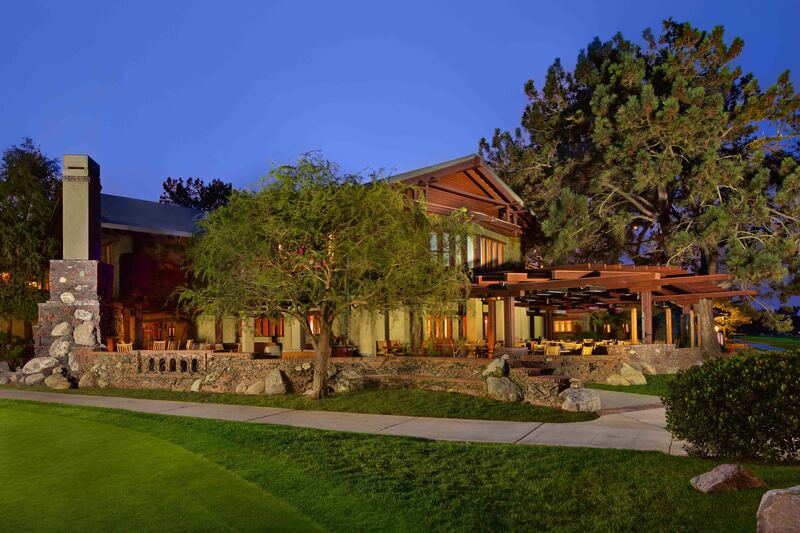 The existing Torrey Pines provide shade on the west patio.